The last time I cooked a real meal in my kitchen was over a year ago. I'm sure a lot of you are in the same boat as me. We're busy. Or we're single, and cooking for one blows. Or we're just lazy and would rather someone bring me my food. I spent 30 bucks ordering sushi off Seamless last night (here). That happens at least twice a week if not more. And it's mostly because I don't own food at home. Every time I walk down the frozen food section of the grocery store, I read the calories and the sodium content on the box and then I immediately put it down and back away slowly. 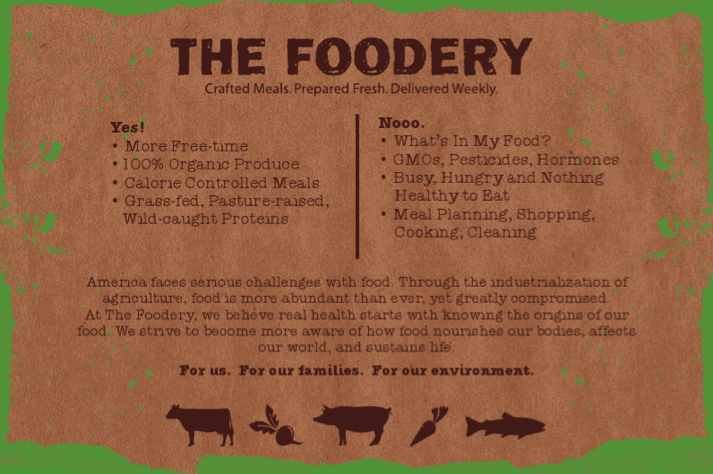 Enter: The Foodery, a new local company that has dedicated themselves to the craft of making healthy meals from sustainable, local, organic ingredient. I'll let them speak for themselves. 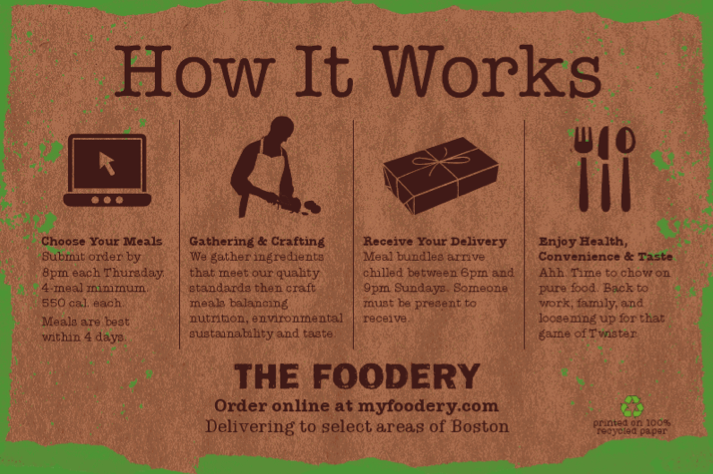 Click (here) to visit The Foodery. 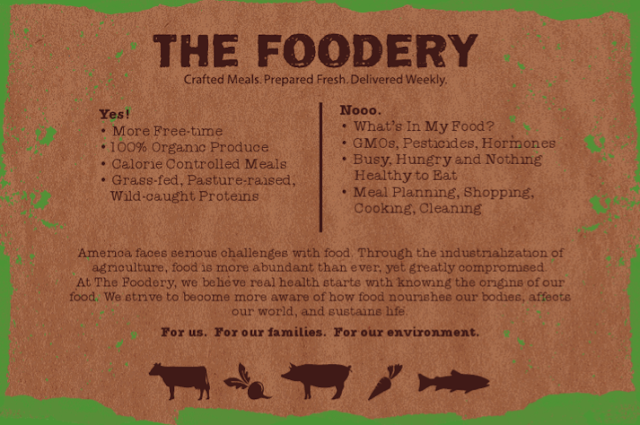 0 Response to "Introducing The Foodery"